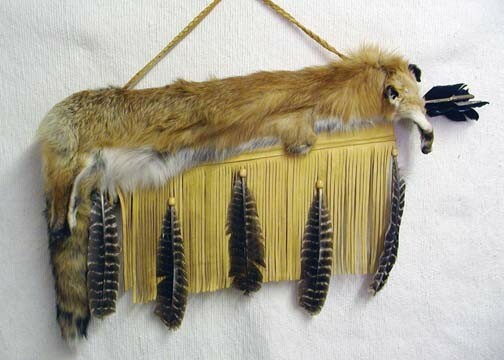 This beautiful buckskin and full red fox pelt quiver comes with two arrows and a braided strap. 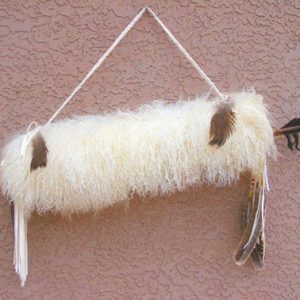 The quiver is trimmed with natural feathers and wooden beads. 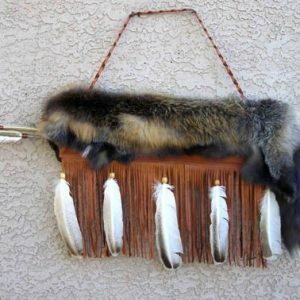 Each quiver will differ with leather color, fur and feathers. 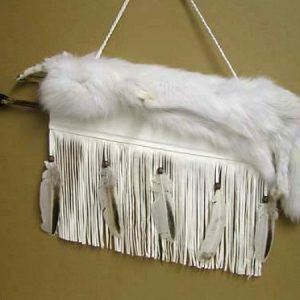 This artifact is handcrafted by Cherokee artist Wetfoot. Leather colors vary often so what is tan today could be whiskey tomorrow, depending on the dye lot. 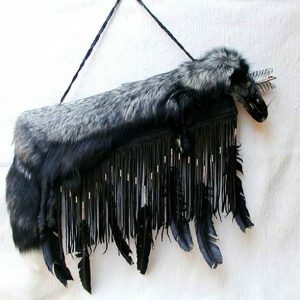 So please indicate your preference between dark or light leather & we’ll do our best to oblige.